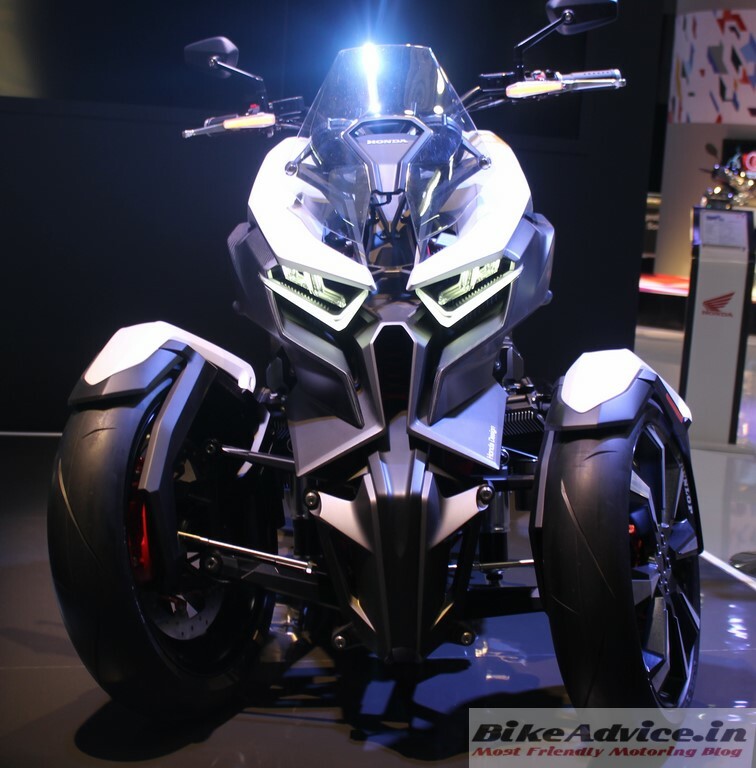 While the concept of trikes has still not caught our countrymen’s frenzy but several manufacturers toyed with the idea at the Auto Expo 2016 to gauge the response they get from visitors. Trikes or tricycles have the form factor of scooters but get three wheels – one at the rear and two at the front. Promising the fun associated with two wheels, these products aim to provide a solution to the fear of stability specially at slow speeds. 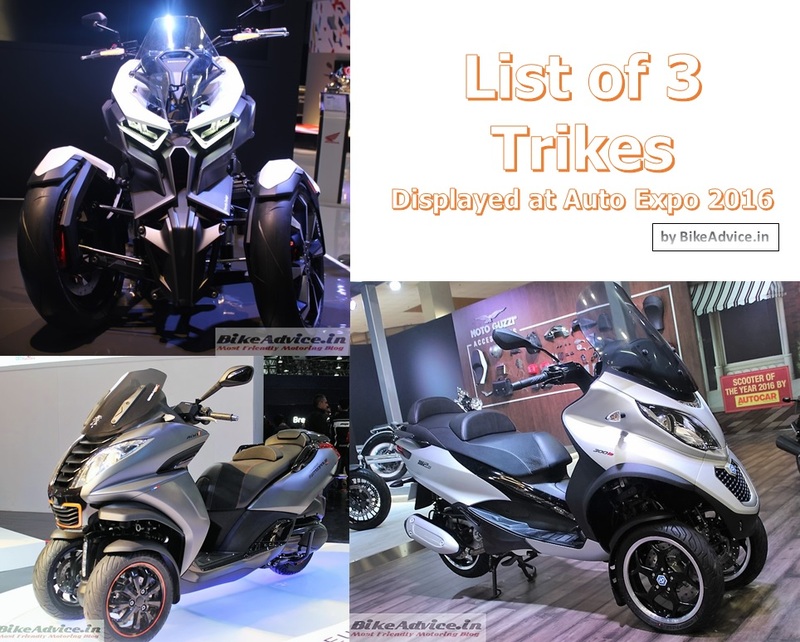 So here’s a small list of the best three trikes that were displayed at the Auto Expo 2016. While still in a concept stage, the Neowing has the looks to die for. The predator-ish front wing marked by the front visor and muscular head lamps, the Neowing seems to be born by the unholy matrimony of a comfortable cruiser with a Transformer! Powering this is a horizontally four pot petrol mill and electric motors, details about which Honda has been very secretive about. We expect the Neowing to, at some point in the future, emerge as a derivative of the Goldwing! Can we please have this one in all-black? 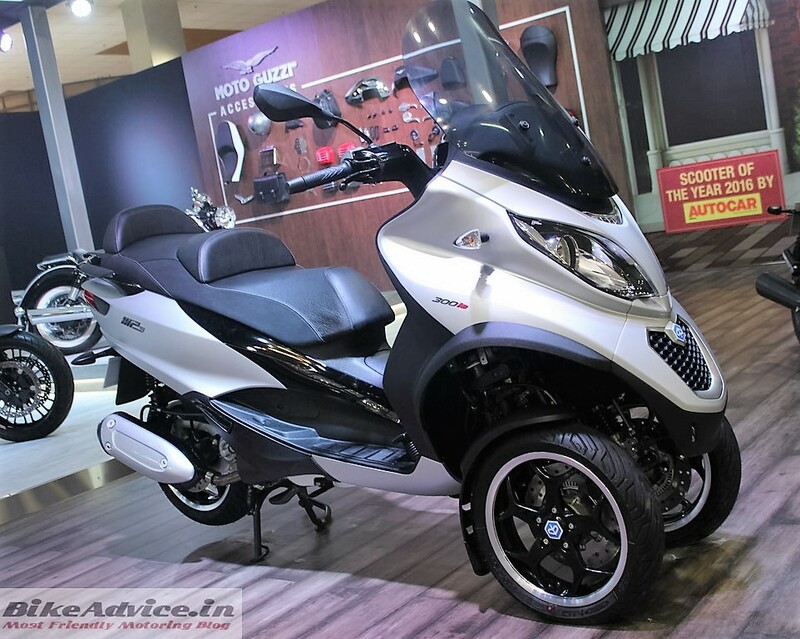 After being displayed once at the 2012 Auto Expo, the Piaggio MP3 has been again brought to India. Internationally available with a variety of engines, the one showcased at the 2016 Auto Expo was the MP3 LT 300IE Business. This one gets a 300 cc liquid cooled fuel injected mill producing 23 hp of power and 24.3 Nm of torque. It boasts of features like ABS, disc brakes all around and traction control. And guess what, the 500 cc version gets ride by wire and a peak torque output of 45.5 Nm. There have been some rumours in the past about Piaggio considering MP3’s launch in India but so far we do not have any concrete bits on that. 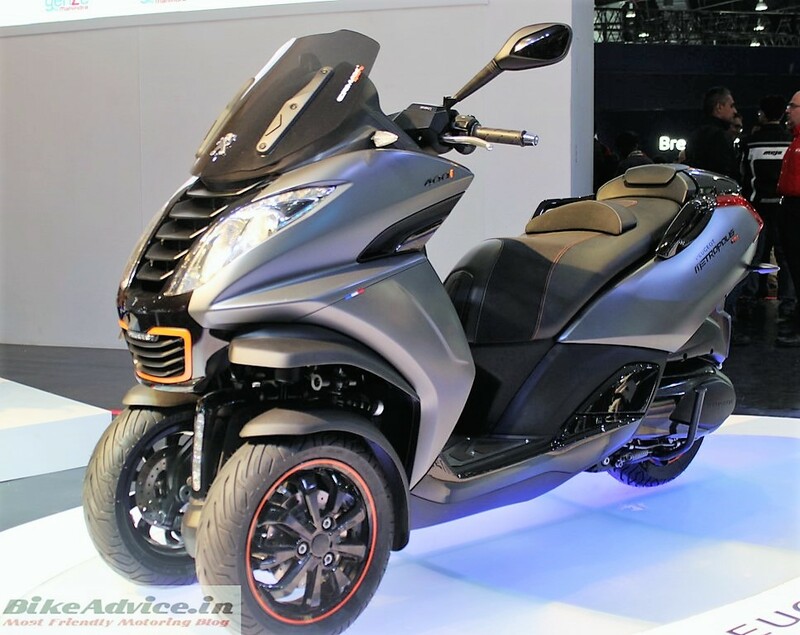 If there is one trike which has the maximum chance of finding a new home in India then it is the Metropolis. Ever since the acquisition by Mahindra, chances of the French automaker making it to India has quadrupled. In fact, the Indian giant has also expressed interest in bringing the Metropolis to India. Powering this is a single cylinder liquid cooled mill churning out 36.7 bhp of power. But it won’t come cheap! So what do you think – will you buy trikes and if yes, which one?